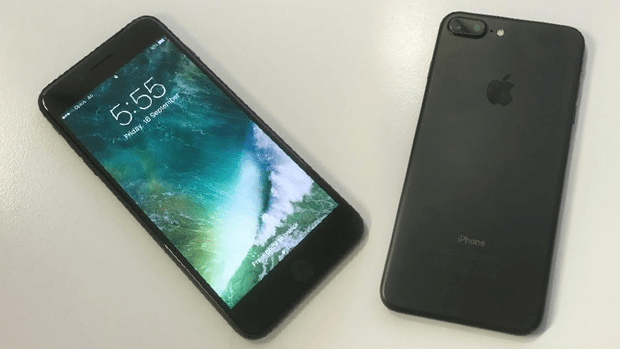 REVIEW UPDATE: One-month-on since the..
Hard to believe it’s been a month since the launch of the iPhone 7, but here I am with an updated review. If you’re reading this and have just purchased a new phone, whatever the brand… I beg you, buy a good case and a screen protector. Do not buy a cheap little case you found on eBay. You don’t spend $1000 on a phone and protect with a $5 flimsy cover. First and most importantly, the iPhone 7 Plus battery life is a huge step up! I’ve once gone a day and a half without charging, with regular use. Long gone are the days my iPhone would die overnight, causing my alarm to fail. The question on everyone’s lips: How are you surviving without a headphone jack!? This was one of the most hyped ‘issues’ with the iPhone 7, and let me tell you… I have no issues and will have no issues. I haven’t needed to charge my phone and listen to music at the same time, I haven’t had the urge to do anything of the sort. IT IS FINE, the headphone jack can remove itself from every device for all I care, and you shouldn’t care either. ‘But what about my expensive headphones I can no longer use! ?’ – You can use them, there’s a wonderful adaptor that works like magic. Video quality is outstanding, never would have thought that my mobile phone can shoot video content in this high quality. While I’m sure there are other phones with better capturing capability, the iPhone 7 Plus exceeds my expectations. The dual-lens camera snaps a nice pic too, It’s now much better in low light. There’s one issue I’ve found with the front facing camera is lighting, especially when using ‘Face Time’, auto-focus occasionally pulls light from the subject. The phone is water-resistant, I did test this scary attribute and can reveal they’re not lying! The home button settings have changed in the latest software update, you’ll find this with all iOS devices. ‘Touch ID’ unlocks your device, but the default setting will make you press again to go to the home screen (this is easily fixed in settings). One small thing I’m still getting used to with iOS10 is the volume and screen brightness bars now hidden in the ‘swipe up’ menu. I liked having them on the same page, now the user must swipe to the other page to adjust volume. So, do I still recommend the iPhone 7? If you’re in need of an upgrade, do it. But the iPhone 7 is NOT this year’s revolutionary mobile device. Then again, neither is Samsung’s explosive Galaxy Note 7.